Another developer update from Muldar and the team! Today we have a new reveal for the Food of the Gods update, rumors of another mini event and a date for beta testing! 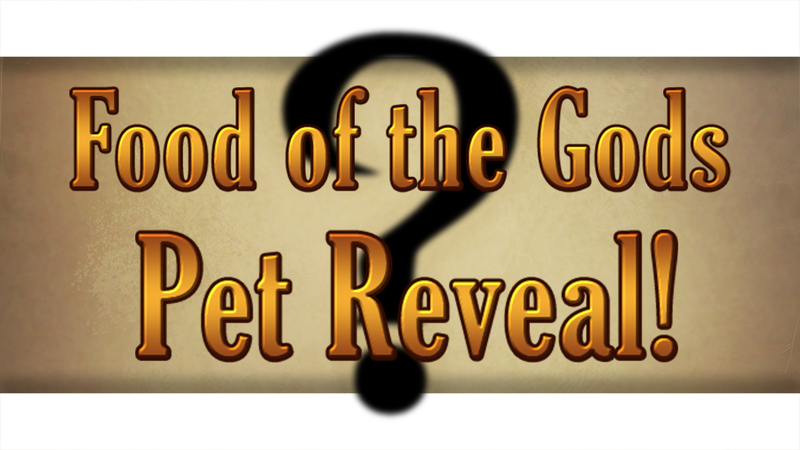 The exciting new pet released in the Food of the Gods update has been unveiled! What mighty beast may stand by your side in battle during the Food of the Gods update? Click or tap the image below to find out! Mirain the Seer has proclaimed visions once again tell of a Carrowmore boss uprising. Details are scarce but we have sent Arken off to check the tunnels out and report back with the news. The excitedly anticipated beta is nearly here! Thousands have applied so we look forward to seeing you all there!